California Water Environment Association (CWEA) has joined other associations in launching the CAWaterInterns.org website to share internships, apprenticeships, and operator-in-training opportunities. Photo courtesy of CWEA. Forget heading to California to find gold. Today, clean water internships in the state can provide a wealth of experience. This spring, the California Water Environment Association (CWEA) joined other associations to launch CAWaterInterns.org, a clearinghouse where job-seekers can find information on internships, apprenticeships, and operator-in-training opportunities at water and wastewater facilities in the state. Initial interest has been high. In its first 2 months of operation, more than 600 applicants responded to the 40 opportunities posted, according to Megan Barillo, CWEA communications manager. 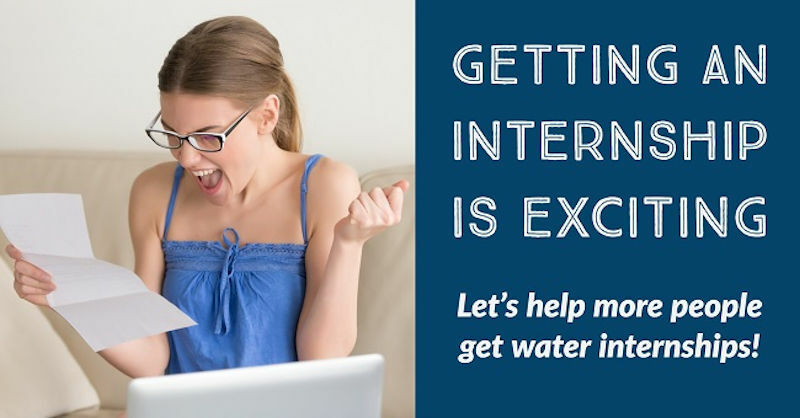 The CA Water Interns website has drawn a lot of interest in its first 2 months of operation. Photo courtesy of CWEA. But applicants still searching shouldn’t lose hope. A recent survey by Baywork, a group representing 27 San Francisco Bay-area water and wastewater utilities, identified a need for more than 828 new water professionals in this area alone during the next 3 years. Statewide, agencies report 6000 job openings each year, a number expected to grow since more than half of the current workforce is eligible for retirement. With so many positions to fill, the website was designed to cast a broad net in hopes of bringing new people into the profession. “There are not enough students in the training pipeline right now,” Barillo said. “We’re targeting folks entering the industry who might be getting their operator certification and are looking for operator-in-training positions.” Website organizers also are hoping to reach people interested in changing careers, and young people just entering the workforce. Water and wastewater agencies throughout the state can post opportunities on the website. Photo courtesy of CWEA. California water and wastewater agencies can post internships and other opportunities on the website for free. Job-seekers can search by internship location and type, sign up for email alerts, and learn more about water careers. It is part of the California Water Jobs website managed by CWEA and funded by a grant from Water Career Pathways, a San Francisco consortium formed to address the shortage of skilled workers.